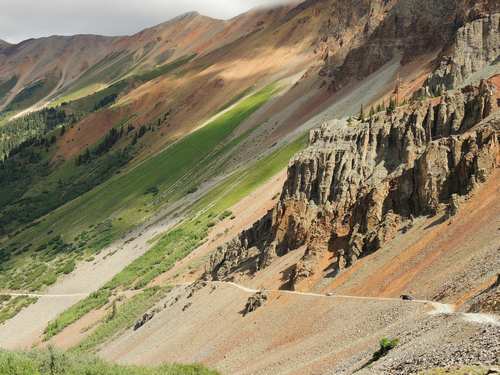 Ophir Pass is a beautiful and easy Jeep trail that will take you between US 550 and SR 145. 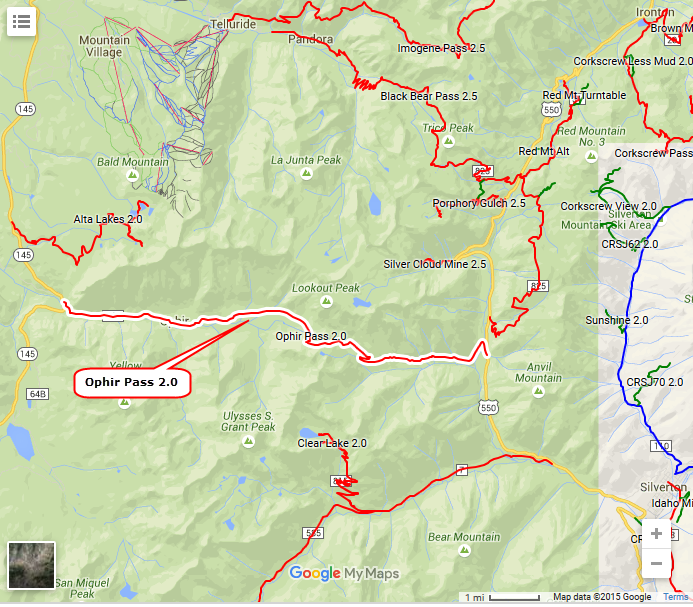 It is mostly a wide graded road with a few narrow spots and occasional rough spots on the west side. 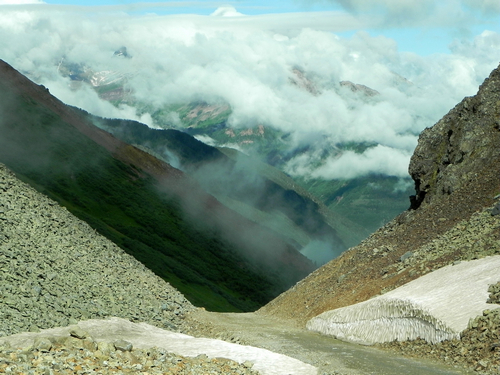 The actual pass is a narrow road with talus slopes on both sides. 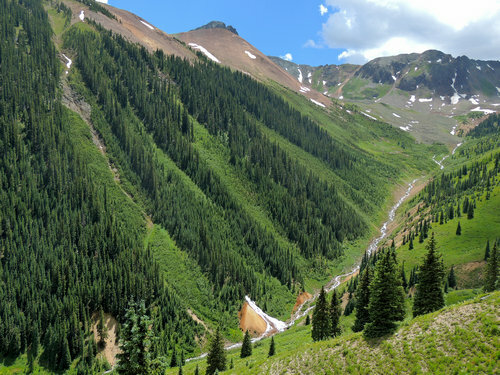 The east side has a large basin visible on the way up. Minerals flowing out of a mine add brilliant white to the creek. Avalanche chutes add eye appeal. The west side has beautiful colors streaming down the slopes.